Sanef condemns Ndabeni Abrahams' behaviour - SABC News - Breaking news, special reports, world, business, sport coverage of all South African current events. Africa's news leader. Mahlatse Mahlase was commenting on an incident where Minister Ndabeni Abrahams blocked journalists from covering the action of protesters at an African National Congress (ANC) manifesto launch. 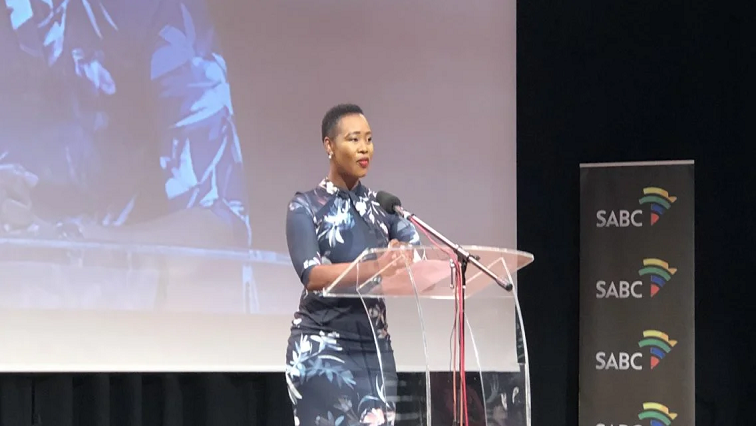 South African National Editors Forum (Sanef) Chairperson Mahlatse Mahlase says the behaviour of Minister of Communications Stella Ndabeni Abrahams is shocking and disappointing. Mahlase was commenting on an incident where Minister Ndabeni Abrahams blocked journalists from covering the action of protesters at an African National Congress (ANC) manifesto launch at the Badibanise stadium in KwaBhaca, formerly Mount Frere, on Saturday. She says as the Minister of Communications, her behaviour is concerning. Sanef says political leaders should be the ones who protect journalists. This entry was posted on 11 Feb 2019,08:49AM at 8:49 AM and is filed under Uncategorized, Homepage Latest Stories Slider. You can follow any responses to this entry through the RSS 2.0 feed. Both comments and pings are currently closed.